Comment: I have rolled insulation that I had planned to have done next week but I was talking to a builder friend and if I can get a decent price I would be interested in having it done. The challenge is that we are expecting to pass our last inspection this Wednesday and then should be ready. Comment: I am expecting final framing inspection this Wednesday and after that we are ready for insulation. 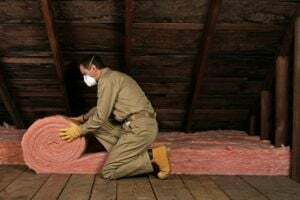 I had originally planned to do regular rolled insulation but after talking with a builder friend he suggested at least pricing it out before I go through with traditional insulation. Comment: 1600 sq. ft. tri-level home. 3 br 2 1/2b needs insulation in exterior walls and in attic. Comment: 1930 single story home with wood exterior siding. Comment: Customer needs under belly of a mobile trailer re done due to water damage. Miamisburg Insulation Contractors are rated 4.74 out of 5 based on 733 reviews of 17 pros. Not Looking for Insulation Contractors in Miamisburg, OH?